Creating classic, elegant and breathtaking celebrations in Vancouver and worldwide. Summer is officially here and that means wedding season is in full swing. While many couples are tying the knot, there are also many couples that just got engaged. One of the first things that each couple decides, aside from the wedding date, is the wedding venue. We wanted to share with you our favorite venue spots in Vancouver for a romantic wedding. Our style is refined, romantic and elegant and we love European inspired designs and styling. So here is our top choices in Vancouver that best reflect our style. Hycroft is a mansion and has absolutely beautiful Edwardian architecture. Not only can you catch a glimpse of the city peeking throughout the venue, it also feels as if you've been transported out of Vancouver. This venue definitely has an European charm with beautiful rooms indoors and plenty of outdoor ares for photographs. During the summer time, Brock House sets up their outdoor tent for wedding receptions. 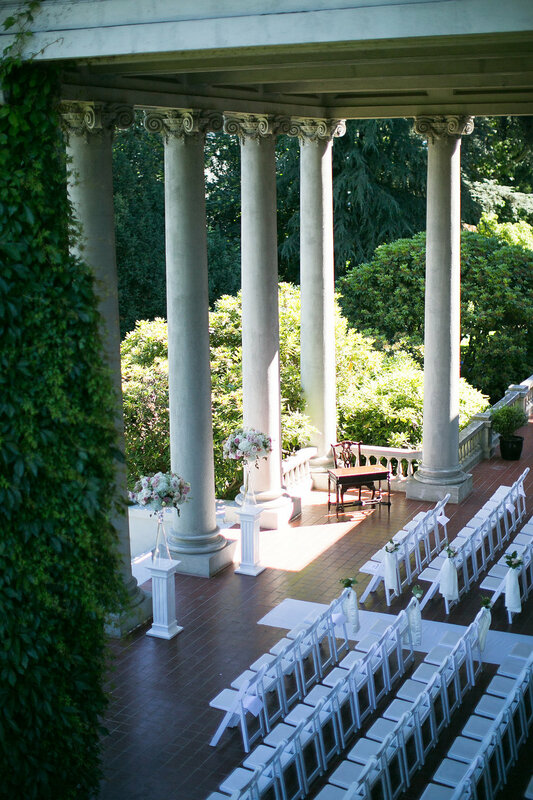 With the ocean as the back drop for the ceremony and an intimate tented reception, Brock House adds the romantic touch to the Pacific Northwest landscape. Located at Deer Lake, wedding ceremonies at Hart House are surrounded by the beautiful and tranquil waters and landscape. Hart House’s tent is filled with lush draping and chandeliers that adds a classic and refined taste to the reception. A rare gem hidden on the campus is UBC’s Botanical Garden. 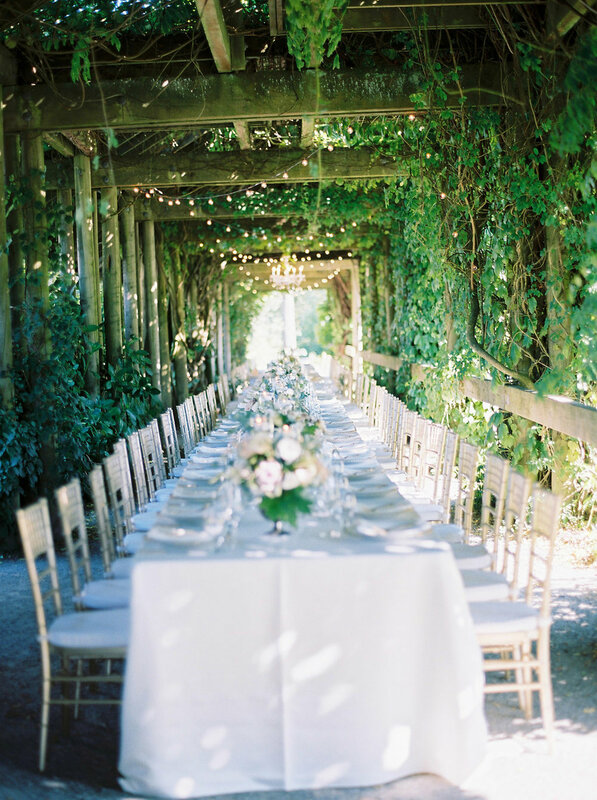 We both love al fresco dining and the arbour here creates a breathtaking ceremony and reception area. 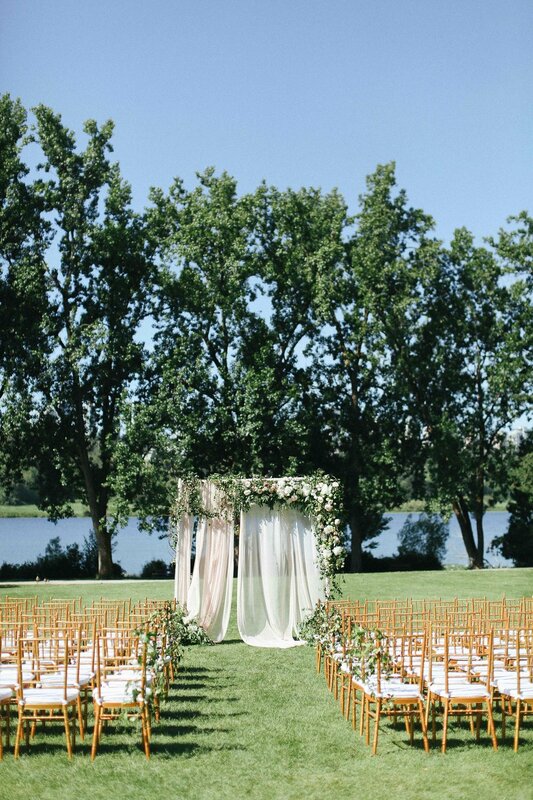 If couples are looking for more open space, they also have the option of having the ceremony on the lawn. You will most likely see hints of Italy or feelings of European suburbs at this venue. Located at a prime spot in central downtown Vancouver, Hotel Georgia has been beautifully styled and furbished with a European touch for their wedding clients. The Spanish ballroom and Tudor room are ideal indoor places for couples who would like to have a touch of European ambience in an indoor setting. Have you attended or planning to have your wedding at one of these venues? We would love to hear your thoughts! Note: A huge thank you to Nadia Hung Photography for providing all these beautiful images for the stunning venues. © 2017-2018 Honour and Blessing Events. All Rights Reserved.